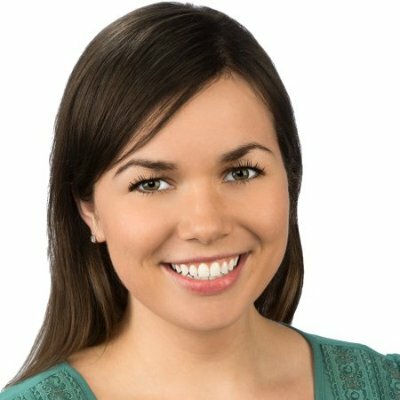 This guest post was contributed by Katie Barmantje, Senior Specialist in Global Interactive Marketing, Aon. When we began our employee advocacy program at Aon, we approached it with an entrepreneurial mindset. We started with a home grown program, called The Boost. It was created to help employees share interesting content about Aon and the risk management industry with their social networks. Our Global Interactive Marketing team created a weekly email with content gathered from our internal experts. We’d send this to employees each week and ask them to share the content with their networks. The initial program showed positive results, but the process wasn’t perfect. Employees would have to copy and paste the content, and save any related images before they could share it with their connections – which took time. It also caused a delay: fresh content could turn stale by the time we sent out emails, so we didn’t get the benefits of real-time sharing. Finally, we couldn’t tell if our efforts were having any impact beyond click activity, since we had no way of knowing who was reading the content. Identified our “social stars” – that is, the people who were already sharing content and who had healthy networks of social connections. We wanted these influencers to be part of our new and improved employee advocacy program. We were able to do this because LinkedIn provided us with Social Selling Index (SSI) data to identify employees who were likely a good fit for the program. Located many and varied sources of content. We’re lucky to be in an organization that produces a good deal of thought leadership material, but this is an important step for any business that wants to strengthen employee advocacy. In fact, it’s important to build up content sources even before you decide to broaden your employee program, because you need content to succeed. Found tools that gave people confidence to engage on social sharing. We found that some employees were reluctant to select content on their own and worried that their choice might be at odds with company messages. Providing employees with a wide array of content that’s been vetted by our marketing teams gave employees the confidence they needed to start sharing. Using LinkedIn Elevate, we improved the ease of use and trackability of our employee advocacy program. The ease-of-use piece is critical to rolling out employee advocacy on a broader level – especially if, like Aon, you’re a global company with many business units. If you want to scale your program, employees need to understand it quickly, without a lot of in-depth training. For us, sharing is now accomplished with just one click, instead of a lot of copying and pasting. Scaling out employee advocacy the right way means you should take advantage of analytics, and you need to match them to company goals. For example, you’ll probably need to prove the value of your program to company leadership – and you can do so by showing that employees are sharing more, and that the audiences you want to reach are actively engaging with your content. For us, as we figured out which audiences we were reaching, and obtained granular data like their job titles and industries. We also fine-tuned our content based on engagement. Also, since Elevate allows you to share new content in real-time, we no longer had to worry about the delay caused by only sending weekly emails. If we see that a certain industry issue is starting to resonate with our target audiences we can react immediately and suggest more relevant content to our employees. Since the start of the program, we’ve more than doubled the amount of sharing by our employee advocates, and their sharing is helping us increase views of our LinkedIn Company Page as well as views of our employee profiles. Every month we email them a roundup of the posts that got the most engagement. That reminds employees what their networks respond well to – and also tells them that we’re giving them high-quality content. We’re planning to expand our program globally this year and are excited to see the impact this will drive for both our employees and our brand. To keep pace with the changes in social media and other forms of digital marketing, subscribe to the LinkedIn Marketing Solutions blog today.